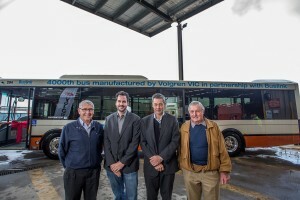 Volgren, Australia’s largest bus body builder, has celebrated the roll-out of the 4000th bus to be built at its Dandenong plant. The vehicle, one of the company’s popular and reliable Optimus Low-Floor Route Buses, was handed over to Volgren’s long-standing Northern Territory customer, Buslink NT, on Monday July 13 at a ceremony at the factory. In Darwin-like near-monsoonal rain, but very Melbourne wintry chill, the bus – in Buslink’s very NT ochre-and-white livery –was handed over to Buslink NT Managing Director David Hannon by Volgren Chairman Geoff Grenda, as proud Dandenong employees watched on. VG4000 stood equally proudly beside VG001, the first bus ever built by Volgren almost 38 years ago – looking as immaculate as it did that day it rolled off the original production line. Both vehicles, noted Volgren Chief Executive Peter Dale, were a testament to the dedication and skill of Volgren’s employees, past and present. The handover ceremony was very much about recognising their loyalty and achievements. 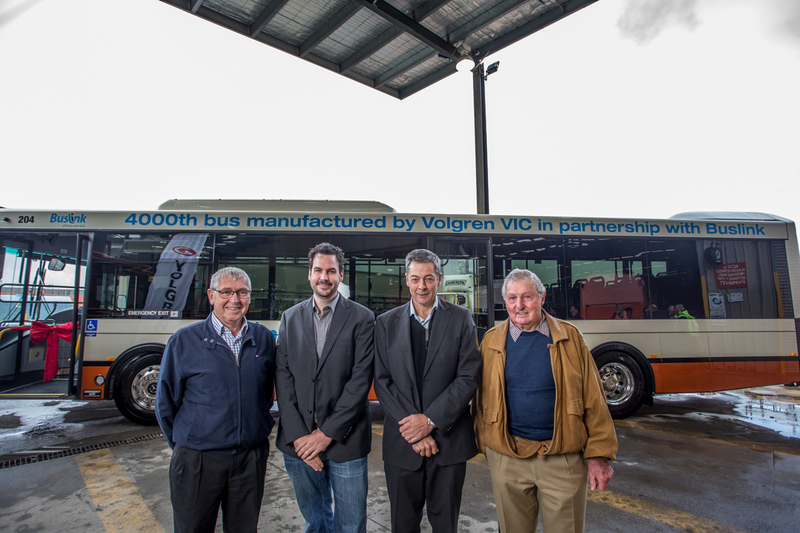 “Volgren started producing bus bodies in 1977, and it is remarkable to think that 38 years later we have grown into Australia’s largest bus body manufacturing company, with a national footprint that serves all states and territories. “We are delighted that that this 4000th bus is for our long-term and loyal customer Buslink. The history of our two companies has a common thread; both Buslink and our founding company Grenda are long-established family businesses, and the Hannons and Grendas have grown those into very substantial bus-operating businesses across a number of states. David Hannon said Buslink had been purchasing buses from Volgren for two and a half decades and would continue to do so because they stood “The Test of the Territory”. Owned by the Hannon family, Buslink began 27 years ago and has grown from humble beginnings – with just three buses when it commenced services in 1988 – into a business with more than 600 vehicles servicing the Northern Territory, Queensland and northern Victoria. It has more than 750 staff operating out of 14 depots. Mr Hannon said he had checked the company’s records and the oldest Volgren vehicle in its fleet was VG505. “That’s a bus that’s 22 years old, it has done 1.3 million kilometres and it’s still running strong. 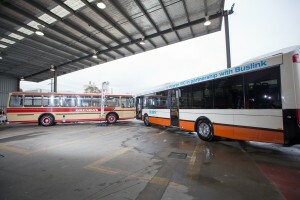 Volgren’s founder, Ken Grenda spoke of where it all began – a six bus company started by his father in 1945 serving four routes around Dandenong. That outer suburb was by the 1950’s the fastest growth area in Australia, and Grenda and subsequently Volgren have grown with it, he said. From building its first bus in 1977 it was now by far Australia’s most successful bus builder, exporting internationally and employing more than 450 people. To the 4000th bus built at Dandenong, add 2700 more manufactured at Brisbane and Perth. Volgren’s long association with Buslink, particularly in the Northern Territory, has directly led to vehicle design improvements, said Michael Kearney, Volgren Engineering Manager. 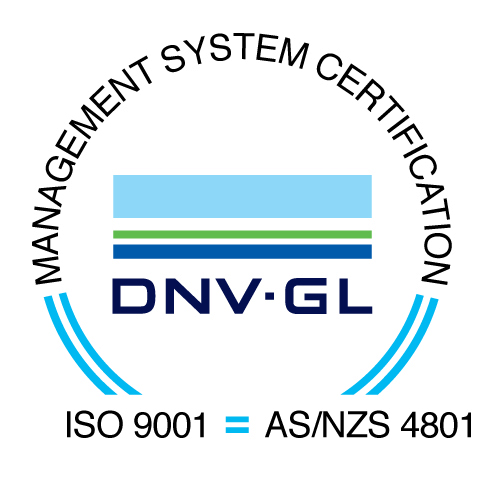 “The extreme weather conditions in hot and humid Darwin are challenging for any vehicle. Feedback from Buslink helped us better understand issues with humidity and now aluminium ducts and composite floorings are now standard on all our route buses”.